Good mineral makeup brushes are the secret to perfect mineral makeup application. 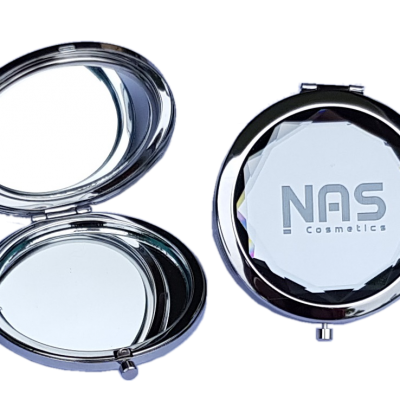 The NAS Cosmetics unique range of brushes are crafted for mineral makeup application to assist with even coverage and ensuring that the minerals blend perfectly with your skin. You simply won’t find a higher quality brush than our triple-milled white range. Being triple-milled means that all the sharp edges on the bristles have been removed and it’s these sharp edges that can cause rashes and skin irritations and can leave micro scratches on the surface of your skin and noticeable fine lines in your make-up finish. These brush leaves you with a flawless finish and doesn’t malt it’s hairs either, showing the workmanship of a truly professional and beautifully crafted make-up tool.